Eastbay E-waste is well-versed with how much importance does privacy holds for the businesses and individuals alike. Electrical or electronic devices hold a plethora of sensitive and personal data. Technically speaking 1 GB of disk space store as much as 8 file cabinet drawers packed with documents. Now, in those 8 drawers who can certainly remember if there are one or two documents with information that they don’t want to be viewed, copied or accessed in any way. Technology has evolved like a thunderstorm rising from the ground up. We are now able to collect, store and transfer data anywhere, anytime. On the downside, this technological evolvement is exposing individuals and corporations to the risks of identity theft and security breaches. Unwanted and discarded electronics when not disposed or processed securely can reach suspicious hands, dangerous locations and can be misused at the very least. Discarded electronics hold a vast amount of confidential corporate data, customer information, account records and other sensitive data that needs to be destructed before they can be recycled. Eastbay E-waste understanding the importance of data security provides our customers with secure and reliable data destruction solutions. Why Should You Care About Your Data? Data is a very quintessential part of a business. It is the major factor that determines how a company’s bottom line will turn out to be. An unwanted electronic device from a business facility contains a lot of confidential data that when end up in the hands of a wrong person can be used against them to feed the wrong intentions. The consequences of such incidents can be severe, hampering the credibility of the business as well as the reputation. Eastbay E-waste offers its clients fast, reliable and secure data destruction solutions so that the data stays where it should be and doesn’t reach where it shouldn’t. Why is Eastbay E-waste regarded as one of the leading Data Destruction Service providers? Eastbay E-waste understands the importance of data security and privacy for the individuals and corporations. Once your e-waste reaches us for recycling, our staff first gets down to the task of destructing and disposing of your sensitive data safely and properly. Eastbay E-waste has laid down a strict course of action for the impeccable demolition of your confidential data. Following the lines of morality, we cement the fact that your data is not accessible after it has been destroyed. We have accreditations and certifications for each of the services we carry out under our Data Destruction Laboratory. Eastbay E-waste is a customer-centric, pioneering and sustainable provider of recycling and data destruction services with a proven track record. Eastbay E-waste strives to be arrantly moral, downright ethical and transparent in everything they do and this is what makes us the trustworthy and reliable partner. The services we so proudly cater are priced keeping in periphery your financial boundaries and are delivered when promised. As an extension of the National Association for Information Destruction (NAID), we live up to the terms of the U.S. Department of Defense 522220.22-M. This association holds us to the rigors of confidentiality meaning that your data is secure and has been left in the right hands. Networking Equipment: Cisco, Juniper, Foundry, Brocade, HP, and more. Printed Circuit Boards: Motherboards, Computer Boards, Server Boards and Memory. Call for prices 925-420-5593 , as we buy Servers, Computers and Laptops. IP Phones: Cisco, Avaya, Nortel, ShoreTel, Polycom, and more. Toner Cartridges: HP, Xerox, and more. 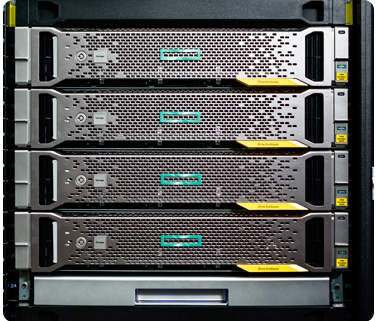 Servers: HP, Dell, IBM, and more. Items to Pickup: Computers, Monitors, TV, IT Equipment, Printers, Cell Phones, Cable Wiring, Servers, Laptops, Test Equipment, Hard Drives and Other.